“Who are they?” I whispered to Indigo. “His name is Manx,” I told her. Seaton, who had met the new king of the Gulfs the year before in Pensacola, had not been impressed. He’d called him an overgrown and spoiled child. I hadn’t been interested enough to ask more. Nonetheless, I looked him over. Sunlight slanted through holes in the cave walls above the grotto and fell on Manx. 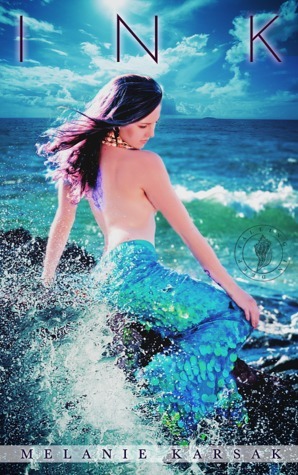 His long, dark hair floated in the water around him. I studied his muscular body. He was a drywalker like me. 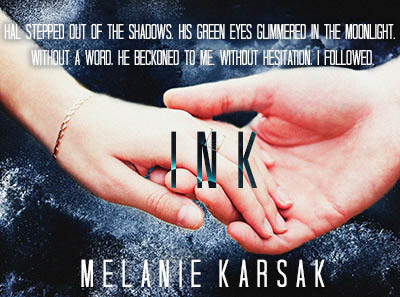 He bore swirling tattoos on his arms. His tail was a dark blue, the color of the deepest pockets in the ocean, each scale trimmed with a filigree of red. His body was athletic, and from this angle, I could see he was handsome. But what of it? It wasn’t like he had the rugged charm of the nagual. A creature like Hal could make any mermaid’s heart beat faster. The nagual was a fine creature, not an overgrown child. I looked away from Manx. I was an orphan of the war between the tribes. The Gulfs were our enemy. Peace or no peace, these people had killed our kind, my parents. It left a bitter taste in my mouth to see them in our grotto. Indigo, however, was staring at him. I followed her gaze. We must have been eyeing him too intensely because this time Manx looked at us. Even from this distance, I could see his eyes were bright, green-blue. He smiled at us. I looked away. “Well, that’s embarrassing,” Indigo whispered behind her hand. It was then that I realized why the Gulfs were there. Something told me that the Gulf tribe was there for more than just a friendly, diplomatic meeting. Something told me there was a reason I was sent, with haste, to round up Indigo. Something about the way Manx held himself so gracefully before Creon told me that a bargain had, indeed, been struck. Something told me, when I saw the glimmer in Indigo’s eyes as she gazed at Manx, that my cousin suspected the same thing I did. All the words yet unsaid spoke a truth: the Gulfs had come for Indigo. King Creon moved from his dais. All attention turned to him. I gazed back at Manx and was surprised to find him staring at me. He grinned, a bemused expression on his chiseled features. I then saw an elder woman among Manx’s group motion for him to turn his attention back to the Atlantic king. Manx did as instructed, looking dutifully in front of him. The ancient-looking mermaid set her gaze on me. She had long white hair adorned with shells and bones. She was a frail looking thing, her skin deeply wrinkled. Her tail had started losing its green-gold pigment. The old mermaid was dying. She must have been the Queen Mother, the renowned ancient lady of the Gulf. Was she there to help broker the young king’s future? I held her gaze. She softened, nodding politely to me, then turned her attention to Creon. “We, too, are pleased with our negotiations. All will come to fruition in time. But today we shall share a special announcement.” Creon motioned for Indigo to come forward. I was right. My cousin squeezed my hand, rose tepidly, and then moved toward the gathered troupe. In the very least, my cousin would be happy with a handsome king. Indigo’s tastes had always been very different from mine. I had no use for a puffed-up merman. Until that very morning, I’d never had use for any male save the friendships I shared with Seaton and Roald. Now, however, I couldn’t shake the nagual from my thoughts. As Indigo moved forward, Lady Isla’s expression change from serene disconnect to worry. She rose quickly and motioned for her daughter to stop. She shook her head at Indigo who paused. Me? What in the hell did they want from me? I sat frozen. 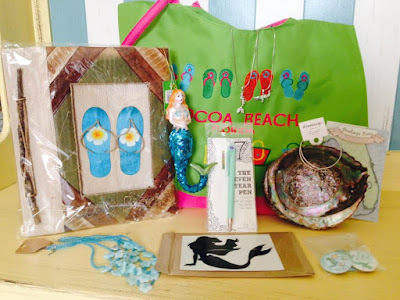 Mermaid Mega-Gift Pack (mermaid necklace, mermaid bracelet, alligator necklace, shell necklace, a 7-year mermaid pen, Cocoa Beach photo album, mermaid Xmas tree ornament, pack mermaid buttons, Ariel car decal, Cocoa Beach tote)!